With Aquarelle, the bouquet you choose is the bouquet that will be received within 4h in Paris and within 24h anywhere in France. Hidden inside this original egg-shaped container created especially for Easter are 520g of crunchy milk or dark chocolate mini eggs and pretty 'seagull's egg's' filled with salt caramel fondant. 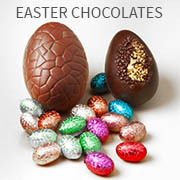 A mouth-watering treat to share with friends and family at Easter time. With this pretty bouquet of 'Fancy Lucca' alstroemerias, selected for their exceptionally long vase life and gorgeous shades of orange and yellow, you can be sure to brighten someones's day. This charming bouquet of 15 stems will fill any room with colour for up to 2 weeks. Aquarelle's florists have selected these magnificent 55/60 cm ‘Red Naomi’ roses for their very generous flowers and vibrant shades of red. This variety is known for its delicate, velvety petals and extremely long vase-life. The perfect gift to accompany your most passionate messages. This small, robust bougainvillea will flower spectacularly, as its long, curving branches bloom with a mass of glorious fuchsia pink flowers for an exceptionally long season. It needs plenty of water and sunlight and will thrive best on a terrace or garden, or placed behind a sunny window. It will flower throughout the summer and brighten your home with its vibrant colours for many weeks to come. Your bougainvillea will be delivered with a pretty zinc plant pot. This stunning plant, originally from South East Asia, is halfway beween a fern and a palm and is mainly cultivated indoors. We're sure you'll appreciate its distinctive beauty and easy maintenance. The cycas is known as a symbol of long life and will add a touch of exotic charm to any interior. Our florists picked this original variety of azalea for its pretty peach-coloured flowers, one of the favourite shades for the season. It's easy to maintain and will flower generously over the coming weeks to make a beautiful decoration for any room. It will be delivered in a stylish plant pot for an irresistible gift! This exceptional, quadruple-stemmed 'Nelly Isler' orchid belongs to the Cambria family and bears a remarkable mass of vivid red flowers. Easy to maintain, this evergreen epiphyte flowers all year long. Its beautifully distinctive flowers will add a splash of stylish colour to any room. Your orchid will be accompanied by a pretty zinc plant pot. A spectacular orchid for an unforgettable gift. The Beaucarnea, also known as the 'Elephant's Foot' or 'Ponytail palm'Arbre bouteille', ressemble davantage à un arbuste avec son tronc trapu et ses longues feuilles au vert lumineux qu'à une plante verte. Originaire du Mexique, il fait partie de la famille des succulentes, ce qui en fait l'une des plantes vertes les plus appréciées. 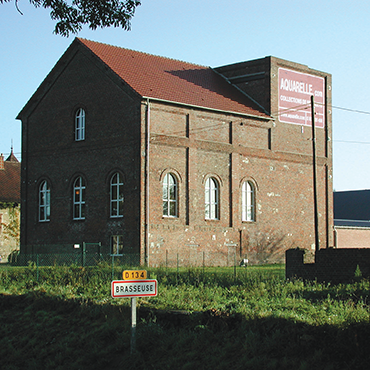 Votre Beaucarnea sera livré dans un joli cache-pot en zinc peint. This pretty zinc planter holds two vibrant blue campanulas. With their roots preserved in fresh moss, they can be replanted in your garden or on your balcony after a short spell indoors and enjoyed again next year. Create your very own spring garden today! Aquarelle has joined forces with the master artisan pâtissier, Sébastien Laurent, to bring you a range of exceptional recipes developed with his inimitable savoir-faire and experience. Using only the finest ingredients - vanilla from Madagascar, pistachios from Sicily, Ecuador chocolate, Isigny salt butter caramel, praline, chestnuts and speculoos... - he has created a unique selection of flavours we have assembled in attractive boxes of 8 or 16 macaroons. For an even more generous gift. your macaroons will be accompanied by a superb white phaenopsis orchid. As a leading flower delivery service operating in France for over 20 years, at Aquarelle we design and compose all our flower bouquets in our own workshop and deliver your flowers to France. 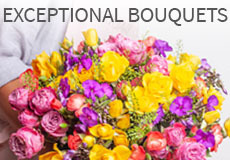 With complete control over the entire process, Aquarelle is able to guarantee that the bouquet you ordered is the bouquet that will be received. Send flowers to France for an unforgettable gift! 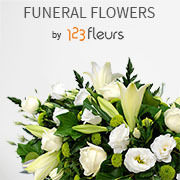 Sending flowers is the ideal way to please whatever the occasion! 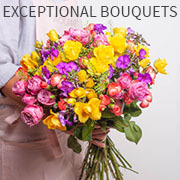 Aquarelle offers you the highest-quality service and products to send flowers. Our site offers a large choice of seasonal flowers, bouquets and plants accompanied by chocolates, scented candles or gift boxes you can have delivered anywhere in France. Send flowers to France easily with Aquarelle. Aquarelle offers home delivery anywhere in France (except Corsica) and Monaco, in 4h in Paris and its immediate suburbs and in 24h in the rest of France. We deliver your flowers from Monday to Saturday anywhere in France and you can send flowers to Paris and the Paris region on Sundays and public holidays too. 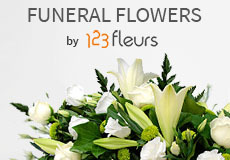 Our flowers are transported directly from our warehouse to your chosen delivery address . 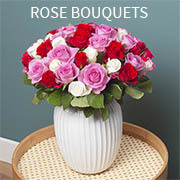 Choose Aquarelle for low-priced flower delivery France and give someone a wonderful surprise! For a delivery on Sunday or Monday morning, order before 3 pm on Saturday. For a delivery during the morning, order before 5 pm the day before. For a delivery during the afternoon, order before 11 am on the same day. For a delivery the evening, order before 4 pm the same day. For a next day delivery, order before 5 pm the day before. For a delivery on Monday morning, order before 3 pm on the preceding Saturday.